Digital illustration of an American Bittern in a bog in northern MN. The bittern is a relative of the heron and produces very interesting vocalizations which lead some people to refer to it as a "Slew Pumper". Digital portrait of my late grandfather, Merv. Created in Photoshop with only the brush tool. Digital painting of comedian George Carlin. Done with ArtRage software. Digitally painted portrait of Polish science fiction writer Stanislaw Lem, author of the book which is the basis of the movie Solaris. Digital portrait of my beloved husky/lab mix, Misty. In this study, i focused on the fur hat and the subject's hair. 2 hour speed painting based on a photo reference. 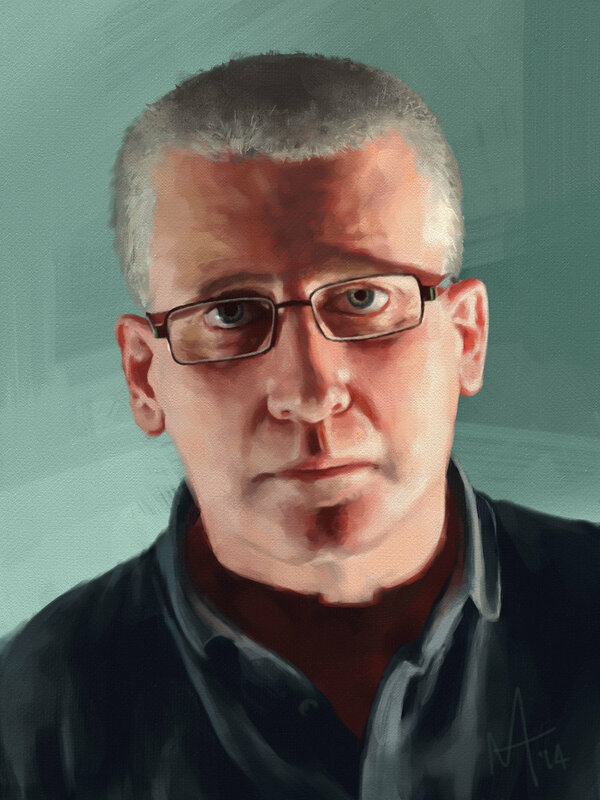 Digital self portrait painted from both photo reference and a mirror. 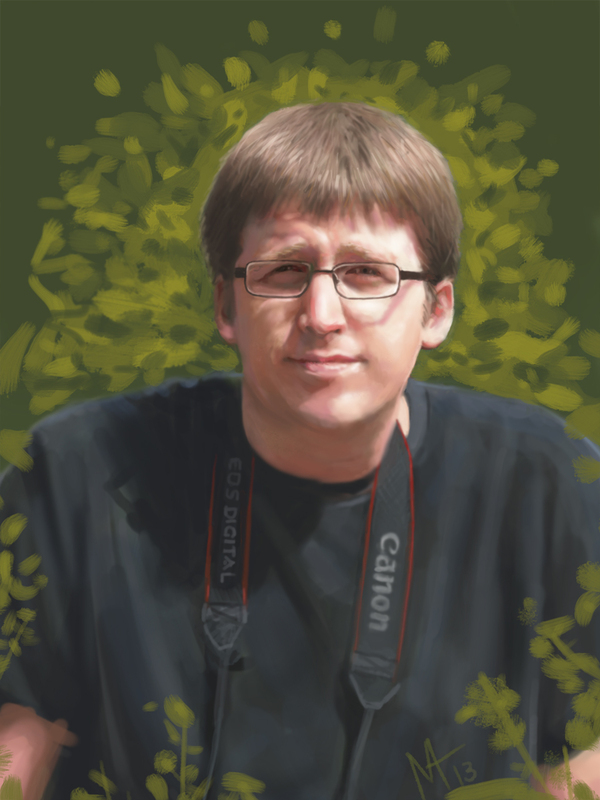 Digital portrait study done in Artrage. Illustration of northern Minnesota fish underwater. Portrait of Captain, my dog's playmate. Done in Photoshop with a focus on experimenting with the Bristle Brush feature. Portrait of my friend, Riley.